France currently has a vigorous earth observation industry, which captures a large part of the export market for reconnaissance satellites. It has not always been this way: contrary to the USA or the USSR, France has never had film-return optical satellites, and orbited its own space reconnaissance systems roughly 30 years later than them. 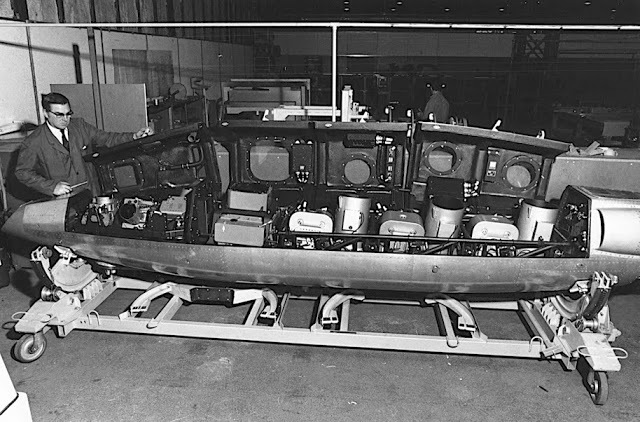 In the same way a previous post on the History of the US reconnaissance system recounted the difficult start and the successes of the American efforts, this post aims to do the same for the French ones. However, it will encompass both optical and electronic reconnaissance, thanks to the lower level of secrecy and the more limited number of systems involved. A comparative look at both programs shows many common traits: space reconnaissance took quite some time to go from the first studies to the first system on orbit, in no small part due to institutional issues. The coexistence and sometimes competition of satellites with other alternatives, such as planes, is also shared, as well as the issues with the dissemination of highly classified satellite imagery. France detonates its first atomic bomb. This test is part of a major effort to build a nuclear deterrent aimed at the USSR. It is also a way to reduce reliance on the USA and support an independent foreign policy. Over the next decades, France builds up a nuclear triad of bombers, submarines and land-based missiles. • CNES (“Centre National d’Études Spatiales”, National Space Studies Center), is created. It is tasked with coordinating France’s space program. • DMA (“Délégation Ministérielle à l’Armement”, Ministerial Delegation for Armament) is founded. It put in charge of specifying and procuring the systems for the nuclear deterrent. 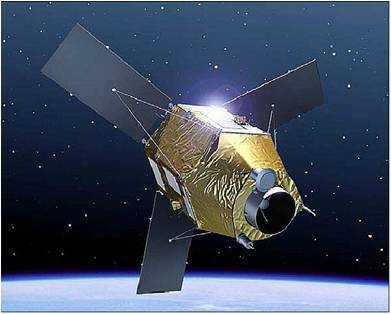 France starts studies on a film readout reconnaissance satellite called VSOP (“Véhicule Spatial d’Observation Photographique). 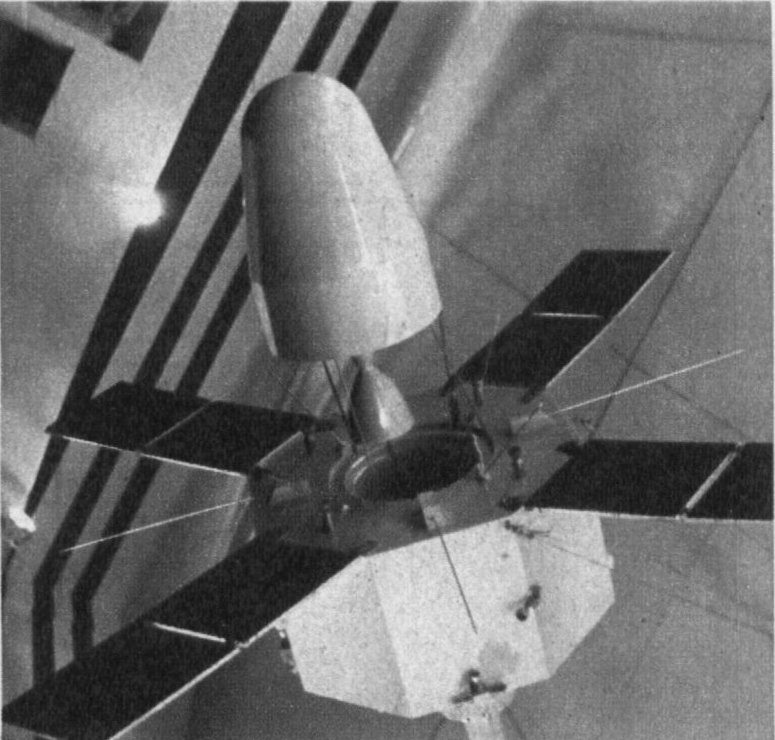 Astérix, the first French satellite, is put into orbit by the Diamant launcher. This makes France the third country to launch a satellite. The launch site is in Algeria, which recently gained its independence. A French satellite is also orbited by an American launcher. As part of its national independence policy, President De Gaulle withdraws France from the NATO integrated military command. US bases in France are removed. France however remains part of North Atlantic Treaty, which provides for mutual assistance between Western countries. The launch base of Kourou, in French Guyana, is inaugurated with the launch of a Veronique sounding rocket. It replaces the Algerian launch site. The Mirage IV supersonic nuclear bomber is modified to carry a reconnaissance pod instead of a bomb. Combined with the C-135 tankers bought from the USA, this gives the French a long-range reconnaissance capability. • Reconnaissance satellite mockups are on display at the Paris Airshow. • The French government starts the development of a launch vehicle able to carry these satellites to orbit. CNES leads the program, but it is realized in cooperation with other European countries. The program is eventually named Ariane. 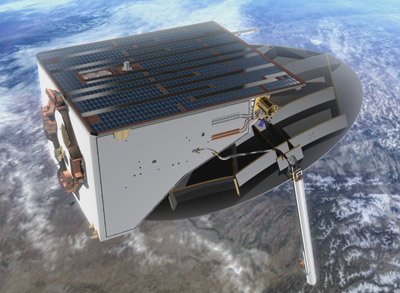 Symphonie, a joint French-German geostationary communication satellite, is launched by an American rocket, on the condition that it will not be used for commercial applications. 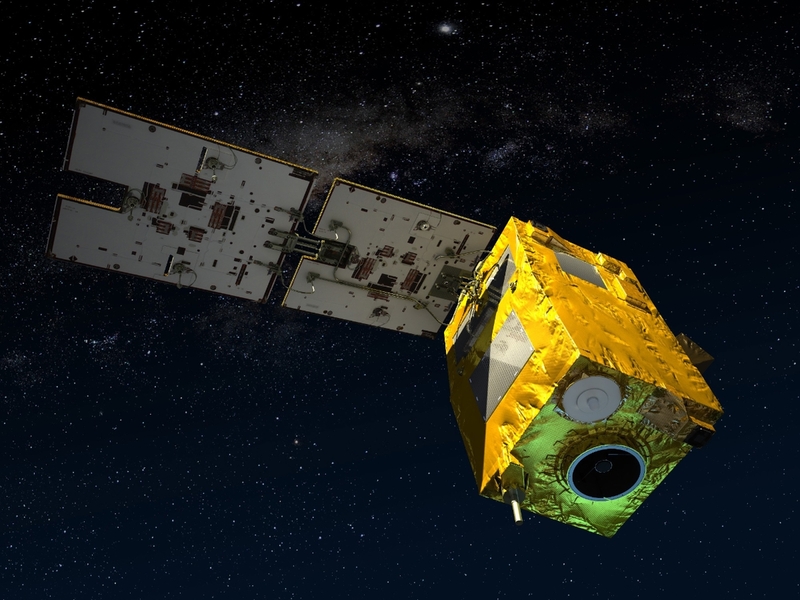 • The French Ministry of Defence launches preliminary studies on a optical mapping and reconnaissance satellite, called SAMRO (“SAtellite Militaire de Reconnaissance Optique”), with a 10m resolution. The main objectives are to increase independence from US intelligence, and to help with nuclear targeting, especially as the French deterrent is considering aiming at economic and military targets instead of population centers. Another objective to monitor Soviet Anti-Ballistics Missile sites around Moscow and Saint-Petersburg, in order to evaluate the impact on the French nuclear deterrent. • DMA changes its name to DGA (Délégation Générale à l’Armement). Over the years its powers expand to managing procurement for all the armed forces, nuclear and conventional. • The DC-8 Sarigue, a civilian plane modified to carry out strategic electronic reconnaissance, enters service. 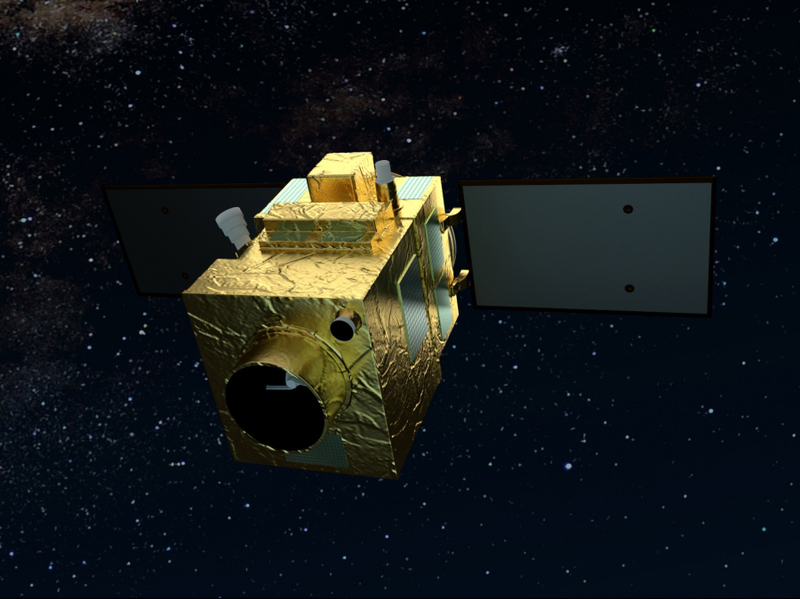 CNES starts working on a civilian optical earth observation satellite called Spot (“Système Probatoire d’Observation de la Terre”, Demonstration Earth Observation System). First launch of an Ariane 1 rocket from Kourou. It gives Europe an independent access to space, ending the reliance on the USA. Several versions of Ariane will fly over the years. • France cancels SAMRO: intelligence on the Soviet ABMs has been acquired by other means, the conventional forces are not interested in its applications due to the low resolution but fear its budgetary impact, and even some part of the strategic forces have reservations. The military decides to provide funds to the Spot program instead. • An image interpretation center is set up to exploit Landsat images. France tries to convince Federal Germany to restart the SAMRO project together, but the effort fails: Germany does not posses a nuclear deterrent to be concerned about, and is much more interested in monitoring Warsaw Pact troop movements near its eastern border. Due to the significant cloud cover over this region, it favours a radar or infrared satellite able to pierce through bad weather, which the French solution is unable to do. Spot 1. The two rectangular telescope apertures are visible. • Spot 1 is launched. From a 800km orbit, it offers a 10m resolution in the panchromatic band, and 20m in colour. At the time, it is the highest available on the commercial market, beating Landsat by a wide margin. Shortly after launch, Spot 1 provides images of the Chernobyl accident, showing the destroyed reactor. • Following the bombing of an air base in Northern Chad, a Mirage IV is sent to assess the results. The 11 hour-mission also involves 4 tankers, which refueled the Mirage 12 times in total, demonstrating the logistical difficulties of long-range reconnaissance with planes. The military reconnaissance program is resurrected under the new name of Helios, after French political authorities decide to reduce their dependence on US imagery. The military still lacks enthusiasm about the project, but the first Spot images have raised its interest. Italy joins the program as a minor partner, later followed by Spain. • The first of two Transall Gabriel electronic intelligence planes is commissioned and performs its first mission over Berlin. • Fall of the Berlin Wall. • Spot 2 is launched. It has the same performance as Spot 1. First Gulf War. Spot 1 and 2 are used by French planners to map the region, locate Iraqi facilities and perform bomb damage assessment after air strikes, demonstrating the usefulness of satellite imagery. This is greatly facilitated by the desert terrain, and the rigid organisation and low mobility of the Iraqi army. The French realize they need to reorganize their intelligence methods. The DRM (“Direction du Renseignement Militaire,” Military Intelligence Directorate), is created by integrating together the intelligence offices of the navy, army, air force and joint chiefs. It is tasked with collecting, analyzing and disseminating military intelligence to the armed forces and political authorities. In time, it will be given tasking authority over military observation satellites, along with DGSE. Spot 3 is launched. It has the same performance as SPOT 1 and 2. Helios 1. Note the large aperture of the telescope. • Helios 1 A is launched on a 700km orbit. It is based on a Spot satellite bus but carries a much larger telescope able of collecting panchromatic images with a resolution around 1m. • Bosnian War. The rough terrain, cloud cover and camouflage techniques of the Bosnian army severely limits the use of satellite imagery, even with the added capabilities of Helios 1 A. • Cerise, a small electronic intelligence satellite, is launched. It is aimed a demonstrating the feasibility of collecting radio and radar signal from space. After one year on orbit, an impact with a debris from the Spot 1 launch makes it lose its attitude control. The Mirage IV are relieved from the nuclear alert mission. A handful of them are kept and transferred to a strategic reconnaissance squadron. Tactical reconnaissance is performed with more traditional fighter jets. • Spot 4 is launched. It has the same resolution as the previous models, but adds infrared spectral bands and a laser communication terminal. Swath width is 60km for each of the two telescopes. 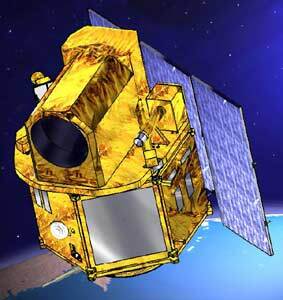 • Horus, a joint French-German Synthetic Aperture Radar (SAR) satellite project, is cancelled. • The French transport ship Bougainville is converted to collect electronic intelligence. • Helios 1 B is launched. Helios images, which were reserved for strategic applications and consequently had very limited diffusion, start to be used for operational and tactical applications. 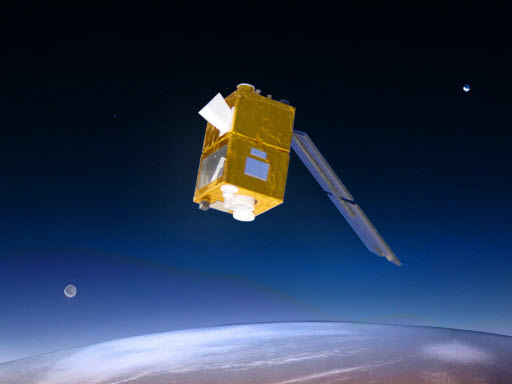 • Clementine is launched along with Helios 1 B, to replace the failed Cerise satellite. France and Italy sign the Torino accords. Under the agreement, France will share the future Pleiades high-resolution optical images and Italy the Cosmo-Skymed SAR images. Each countries is given tasking authority of the other’s satellites, for a limited number of images each day. • Spot 5 is launched. Resolution is markedly improved, reaching 2.5m. Spot 5 also carries a high resolution stereo mapping instrument with a 10m resolution and a 120km swath. It is used by the armed forces to generate 3D digital terrain models, to guide cruise missiles for instance. • France and Germany sign the Schwerin accords, an image-sharing and satellite tasking agreement. France will provide optical and infrared images from the Helios 2 system and Germany SAR images from the SAR-Lupe constellation. Second Gulf War. 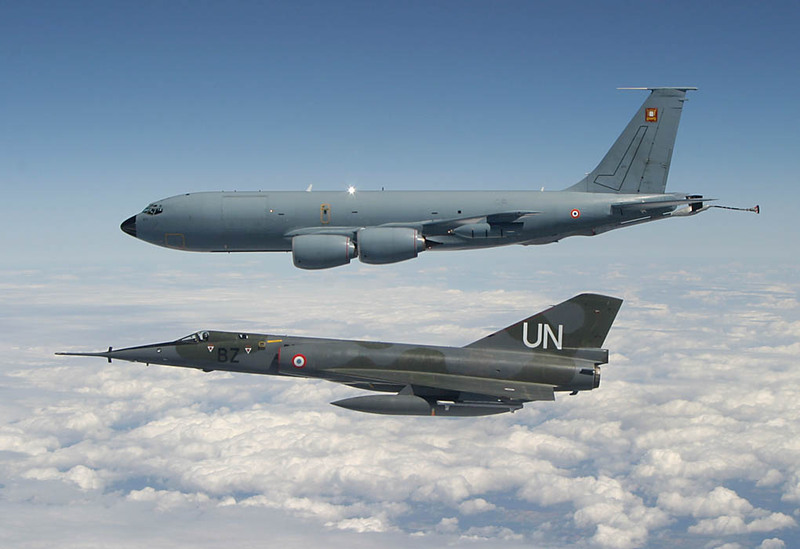 Based on intelligence provided by the Helios satellites and by Mirage IV overflights, the French government decides not to take part in it, and even opposes an United Nations resolution supporting the intervention. Helios 2. The big square aperture is the VHR instrument, the rectangular aperture is the wide field of view instrument. • Helios 2 A is launched. It carries a Very High Resolution (VHR) instrument, which provides optical images with a resolution around 0.35m and also produces thermal infrared images, enabling it to take pictures at night. This instrument was built by Thales Alenia Space (TAS). It also carries a wide field of view instrument derived from Spot 5, to provide context to the VHR images. Thanks to the contribution of other countries to the programme, Helios 2 images are availabe to Italy, Spain , Belgium, Germany and Greece, as well as to the European Union Satellite Center. • Essaim, a constellation of 4 micro-satellites flying in formation, is launched. The system collects and locates electromagnetic emitters, in a manner similar to the American NOSS satellites. • The Airbus-built Formosat 2 optical satellite is launched and handed over to the Republic of China (Taiwan). 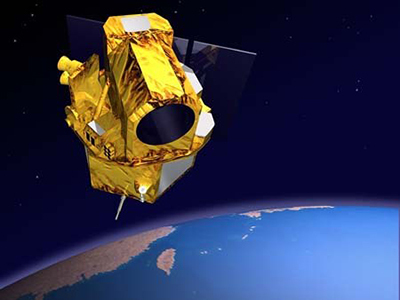 It is the first successful export of a reconnaissance satellite by the French industry. It has a 2m resolution. • The second and last DC-8 Sarigue is withdrawn from service, due to the high maintenance costs. The Mirage IV is withdrawn from service. 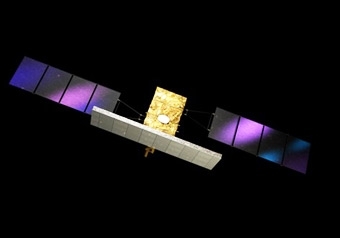 • The first of 5 German SAR-Lupe satellites is launched. It has a 50cm resolution. • The Bougainville electronic intelligence ship is replaced by the Dupuy-de-Lôme, specifically built for this task. The first of 4 Italian Cosmo-Skymed SAR satellites is launched. It has a resolution of at least 1m. • France starts working on a follow-on system to Helios 2, as a part of MUSIS (Multinational Space-based Imaging System). The goal is to develop a federated European reconnaissance system, which will integrate the future optical and radar satellite from France, Germany, Italy and Spain. • The THEOS reconnaissance satellite is launched and delivered to Thailand. It is built by Airbus and has a 2m resolution. Helios 2 B is launched. • The French Joint Space Command (“Commandement Interarmées de l’Espace”) is created. It does not directly control space assets, but is in charge of long-term planning and coordination on space affairs within the armed forces, with international partners, and with CNES and DGA, the defence procurement organization. • The Airbus-built Alsat 2A satellite is launched and delivered to Algeria. It has a 2.5m resolution. • The Reco-NG airbone reconnaissance pod is accepted in service. It is carried by the Rafale fighter jet and digitally captures visible and infrared images, from very low to very high altitudes. It has a radio downlink capability to shorten the image exploitation time. • Pleiades 1A is launched. Pleiades is a dual use program: most of the images are sold by Airbus on the commercial market, but the French and Italian Ministries of Defence have a daily image quota reserved for them. Pleiades produces 70cm images, and its main feature is its high agility: the satellite can quickly rotate on itself to image different locations successively. This increases the revisit frequency, especially in regions where there are many interesting places to image. 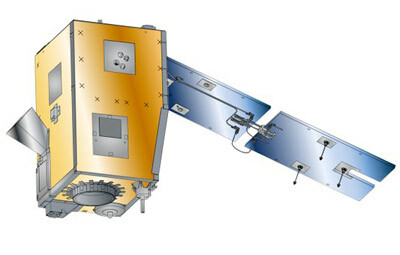 The bus is built by Airbus and the instrument by TAS. • ELISA, a successor to ESSAIM, is launched. It also consists of 4 micro-satellites flying in formation. • After the MUSIS project has been all but cancelled due to diplomatic and budgetary difficulties, France decides to build its follow-on optical system on its own and calls it CSO (“Composante Spatiale Optique”, Optical Space Component). The system will have a Very High Resolution (VHR) satellite on a 800km orbit and an Extremely High Resolution (EHR) satellite on a 480km orbit. The VHR component will probably have a resolution of 35cm, comparable to Helios 2, and the EHR a resolution around 20cm. A third satellite was planned, to increase revisit, but the budget did not allow it. The satellites will be identical and have a thermal infrared capability like Helios 2, and a high agility like the Pleiades satellites. TAS will build the optics and Airbus the bus. • France, along with the US, the UK and other European and Arab countries, intervenes in the Libyan civil war to support the rebellion. It is the first French conflict in which satellite imaging is truly integrated in the operational loop. The lack of agility of the Helios 2 satellites turns out to be an issue. • The Airbus-built SSOT satellite is launched and delivered to Chile. It has a 1.5m resolution. • Pleiades 1B is launched, in the same orbital plane as Pleiades 1A. This enables 1-day revisit of any point of the Earth. • Spot 6 is launched. It is a radical departure from the previous Spot architecture. First of all, it is wholly financed and owned by Airbus, whereas previously CNES funded the developments and held shares of the company that commercializes the images. It also does away with the legacy Spot bus and optics, replacing them with a Pleiades-derived high agility bus and higher resolution telescopes. The swath width stays at 60km but the resolution is consequently improved to 1.5m. • The Airbus-built VNREDSat-1 satellite is launched and delivered to Vietnam. It has a 2.5m resolution. • France intervenes in Mali to stop the advance of radical groups on the capital. A ground operation is launched to secure the towns in Northern Mali, and destroy the radical bases. The theater of operations is a desert roughly the size of Texas, and images from the Pléiades satellites proves very useful to build a picture of the situation. • Spot 7, an identical copy of Spot 6, is launched. Shortly afterwards, is is sold to Azerbaijan and renamed Azersky, but Airbus continues to commercialize its images. • The Airbus-built KazEOsat-1 satellite is launched and delivered to Kazakhstan. It based on the Pleiades bus and has a 1m resolution. • CNES starts working on OTOS, a follow-on program to Pleiades, with Airbus and TAS as industrial partners. After extended negotiations with Germany, it agrees to finance two thirds (200M€) of the third CSO satellite in exchange of tasking rights, without any involvement of the German industry in building the satellite. A mutual tasking agreement, comprising the future German SAR satellites, is put in place. Sweden is also part of the program and will provide downlink at the Kiruna polar ground station, enabling image download at each orbit. This will greatly improve the timeliness of the information produced, and consequently make more useful in military operations. • The Airbus-built PeruSat-1 satellite is launched and delivered to Peru. It has a 0.7m resolution. • Alsat 2B, a copy of Alsat 2A, is launched. It is still built by Airbus, with a contribution from Algerian engineers. The resolution is 2.5m. • Launch of the Turkish Göktürk- 1 satellite, an optical satellite with a resolution under 0.8m, built mainly by TAS. 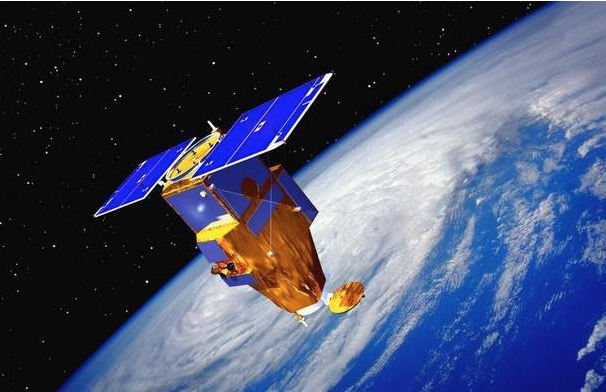 • By that date, the French Minstry of Defence acquires 120 satellite images per day, mainly from Pléiades. • Launch of the Italian OpSat satellite, an optical satellite with a resolution under 1m built by Israel Aircraft Industry. It is a compensation for the sale of Italian trainer jets to Israel. • Launch of the Mohamed VI-A satellite, built by Airbus (for the bus) and TAS (for the payload) for Morocco. 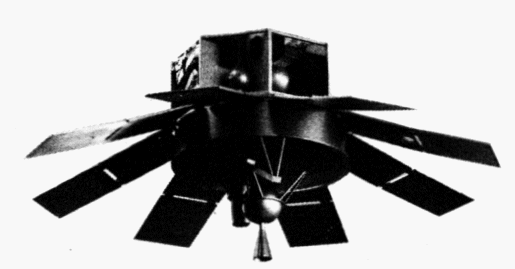 It seems to be similar to the Pléiades satellites, with a resolution probably around 70cm, and operates as part of a 2-satellite constellation. • Launch of the Spanish Paz satellite, a SAR satellite with 1m resolution built by Airbus, and operating along Airbus’ TerraSAR-X satellite. • Launch of the first CSO satellite. • Planned launch of the first Falcon Eye satellite, a Pleiades-derived system built jointly built Airbus and TAS for the United Arab Emirates. The sale put the French industry in competition with US manufacturer Lockheed Martin. Politics played an important role in the contract, as US shutter control was cited as a reason for the French win. ITAR issues almost killed the French offer, and had to be resolved at presidential level between France and the US. Resolution is probably around 35cm. • Tentative launch of the Spanish Ingenio satellite, an optical satellite with 2.5m resolution built by Airbus. • Planned launch of the first German SARah satellite, the follow-on system to SAR-Lupe. It will be joined by two passive SAR satellite flying in formation with it. France will have access to its images through a separate national ground segment. • Planned launch of the first of two Italian Cosmo-Skymed 2nd Generation (CSG) satellites. France and Italy plan to make CSO and CSG interoperable through a common interface. • Planned launch of CERES, a constellation of 3 formation-flying satellites with radio and radar emitter detection, identification and location capabilities. Contrary to its predecessor electronic intelligence satellites, it will be the first designed for operational use by the armed forces. • Planned launch of the first of 4 next-gen, high-resolution commercial satellites operated by Airbus. They will provide two revisits per day, will have a 30cm resolution, and will use the EDRS data relay satellites for almost instant tasking and data download, making them extremely useful in crisis situations. • Planned launch of the last CSO satellite. • Planned launch of the last of the 4 Airbus next-gen commercial satellite. • By that date, the French Minstry of Defence plans to acquire 650 satellite images per day, which creates concerns about image analyst workloads. • In the early 2020s, Germany plans to launch up to 3 optical satellites, operated by its intelligence service. More details on the subject are there. • Planned introduction int service of the first of 3 EPICURE signal intelligence planes for the French Air Force. L’espace au profit des opérations militaires. French MoD website. Espace et opérations: Enseignements et perspectives. General Pascal Valentin. 2012. La Vérité sur notre Guerre en Libye. Jean-Christophe Notin. 2012. Thanks to MarsSurfaceWanderer from forum-conquete-spatiale.fr for pointing out mistakes, and to Starking for providing information on the 1960s-1970s period. Thanks to Blackstar from nasaspaceflight.com for providing the article from Sébastien Matte la Faveur on The Interest and Opposition of the French Military in Satellite Reconnaissance for France. Next Post A new German space policy?